You might see less of me over the next few weeks because I’m cooking up something new. The Tiny Report is putting out its first publication. 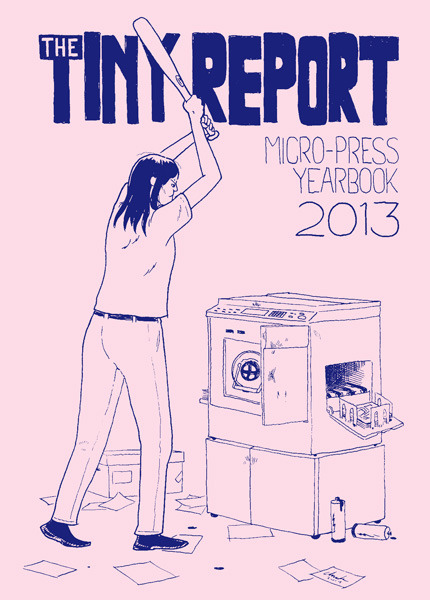 The Tiny Report: Micro-Press Yearbook 2013 will be a concise yet detailed essay about the micro-press movement. There will be charts and graphs. You can learn more and pre-order your copy at my Kickstarter. Here’s the awesome cover Chuck Forsman drew for me! This entry was posted in Uncategorized and tagged Chuck Forsman, Kickstarter, Micro-Press Yearbook. Bookmark the permalink.